Apple has unveiled a new premium games subscription service called Apple Arcade for the App Store during a Special Event about its array of new services businesses. The tech giant called it the first games subscription service for mobile, desktop and the living room. Over 100 new and exclusive games are set to be included, with more to come in future. Games can be played across iPhone, iPad, Mac and Apple TV, even if there is no internet connection. Players who switch devices can pick up where they preiviously left off. Apple Arcade will launch in autumn 2019 in over 150 countries and regions. No pricing details have been presented as of yet, but the service will not contain any advertisements or additional purchases. It was also announced that a user's family can access the library of games at no extra chage. The service will include games from Annapurna Interactive, Bossa Studios, Cartoon Network, Finji, Giant Squid, Klei Entertainment, Konami, LEGO, Mistwalker Corporation, SEGA, Snowman, ustwo games and more. It does not appear that existing non-exclusive premium games will be made available on the subscription service. 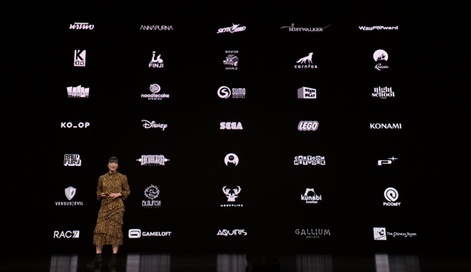 You can see a list of partners in the image from today's big Apple keynote below. During Apple's Special Event press conference, the company said that more than one billion people have now downloaded games on the App Store. Currently there are over 300,000 games on the platform. App Store senior product manager Ann Thai admitted that while free-to-play games had been successful, premium games hadn't been as successful and aren't as easy to find. Apple Arcade is the company's attempt to get games that aren't powered by in-app purchases in front of users. “The App Store is the world’s biggest and most successful game platform. 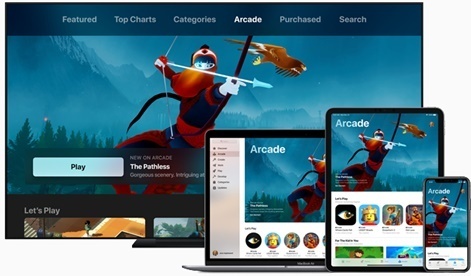 Now we are going to take games even further with Apple Arcade, the first game subscription service for mobile, desktop and the living room,” said Apple senior vice president of worldwide marketing Phil Schiller. For more information on Apple Arcade head to the developer website. Apple Arcade and subscriptions will be a big topic of conversation at Pocket Gamer Connects Seattle 2019 on May 13th to 14th.